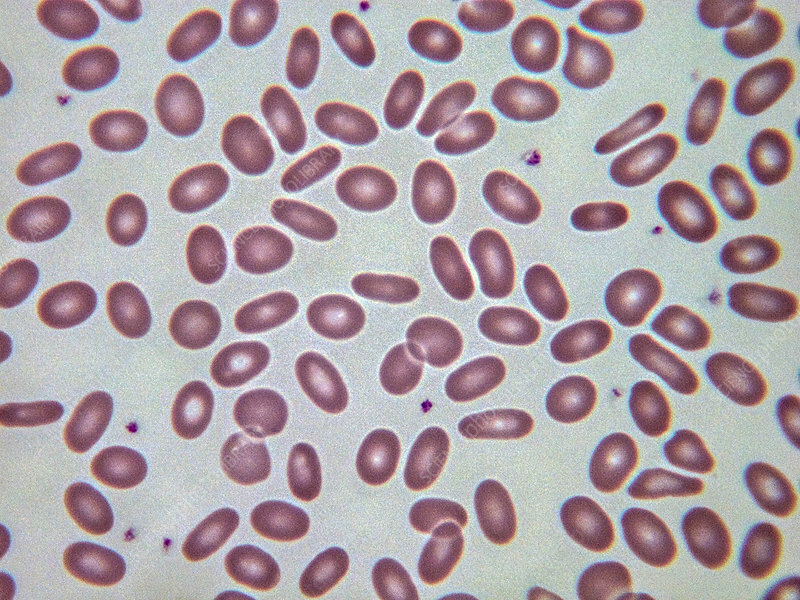 In hereditary elliptocytosis, an inherited disorder, erythrocytes appear elliptical. Light micrograph, Wright-Giemsa stain. Magnification: 100x.